Home » Health & Fitness » What is Hypopnea? Hypopnea is a breathing disorder that can be characterized by recurring stops of respiration and/or a very low rate of breathing. The word hypopnea is comprised of two Greek roots hypo and pnoe what literally means underbreathing. There are two types of hypopnea - daytime and sleep. In case of daytime hypopnea, breathing is shallow while a person is awake. It usually occurs because of several neuromuscular diseases. Daytime hypopnea result in low oxygen level in blood. 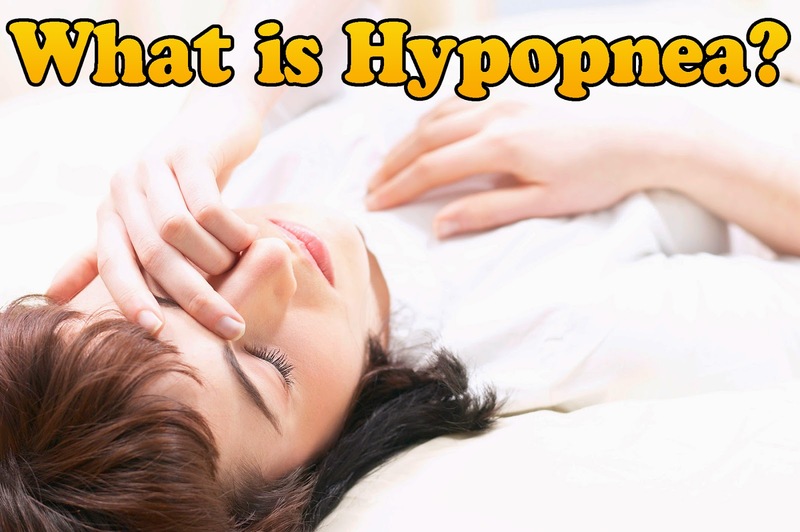 On the contrary, sleep hypopnea disturbs a person during sleep preventing him from breathing normally. As a result, he may not have enough rest at night even if he sleeps without breaks. Severe type of sleep hypopnea usually interrups normal stages of sleep causing patients to wake up from time to time. In its origin hypopnea is divided into two types - central and obtrusive. In the first case it is characterized as a reduction in airflow proportional to the decrease in respiratory rate. It can be diagnosed only when a clear reduction in respiratory effort is observed. Obstructive hypopnea is diagnosed when the airway is partially closed and this closure causes some physiological effect like increase in breathing effort and oxygen desaturation. Hypopnea is different from other types of respiratory disorders which include: apnea (complete cessation of breathing), oligopnea (weakening of respiratory movements accompanied with reduction of breath), bradypnea (slow breathing). It also should not be confused with several breathing patterns including dyspnea (intense breath with shortness), tachypnea (fast breathing), hyperpnea (increased amplitude of breathing at the normal rate), because hypopnea is not a breathing pattern but rather a disorder, an abnormal type of breathing when the airflow is hampered because of some pathology of the system of respiration.